In a couple of weeks, I will host my fifth such gathering. Back in 2010, by way of an emailed invitation, a friend introduced me to this holiday. 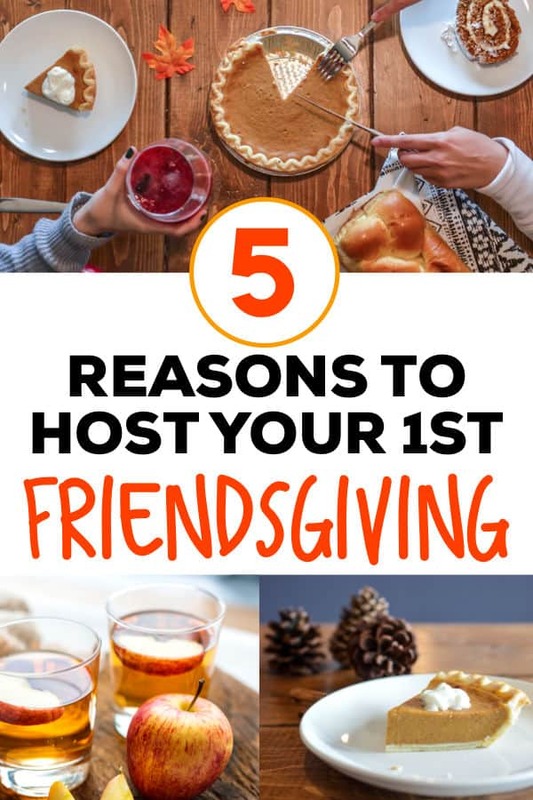 Three short years later, Friendsgiving was officially a “thing,” commercialized and popping up all over the internet. I’ve gauged its popularity by the growing selection of invitations that Evite offers. Friendsgiving, so often referred to as a Millennial holiday should be celebrated by all. I am by no means a Millennial. In fact, my friendships with my Friendsgiving guests are older than most Millennials. That made me proud and cringe at the same time. You get to spend time with your oldest (or newest) and dearest friends. All of my Friendsgiving guests have known me for twenty years or more. These friends know me better than anyone and more importantly, knew me before I became a mom. We all have such busy lives that it’s nice to know that once a year, we get together as a big group. Invitations go out in August. 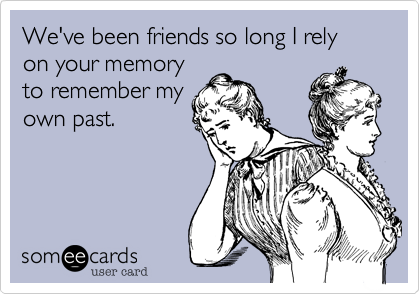 “At least, I’ll see you at Friendsgiving” has become a standard catch-phrase of ours. Friendsgiving is traditionally held on the Wednesday before Thanksgiving or the Friday after (so guests can bring over their leftovers). But celebrate it whenever it’s convenient for your guests. Sometimes we hold it in early December, other times in November. The trick is to celebrate it before all of the office holiday parties begin. Right before Thanksgiving often works well as sports season finally ends and we get a reprieve as soccer moms. Since you get to pick your day, you won’t be sitting in Friendsgiving traffic this year. I don’t often get the opportunity to host a holiday at my house. I’m usually flying or driving far distances to get together with family. No one cares that you’re not using your good china. The kids can get wild and no one will judge you. (Although hiring a babysitter makes Friendsgiving infinitely better). So, get a good playlist going and relax. Remember, the focus of Friendsgiving is the company, not the food. If you want to try out a new recipe, now’s your chance. Each year, we have less formal meals, and more appetizers and cocktails (my favorite is the Apple Cider Sangria). Less time in the kitchen means more time catching up with friends. Oh, and you certainly don’t have to keep to a Thanksgiving menu. No turkey allowed at our Friendsgiving. 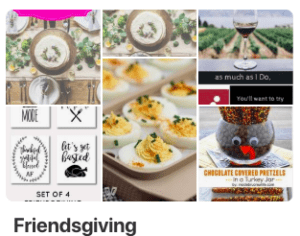 Check out my Pinterest Board for Friendsgiving! Made-up holidays don’t have rules. Invite who you want. Invite everyone with kids. Decide not to have kids. Set a formal table or eat your food on the couch. Serve breakfast, lunch or dinner. This is your holiday and you get to start your own tradition. Now, how great is that? *Note: This post was originally published in October 2016.